Each week we update you with the latest RV Accessories to hit the market along with reviews and detailed installations of various types of RV products. You have the option to opt-out at anytime, but we are sure you will enjoy our short weekly update. 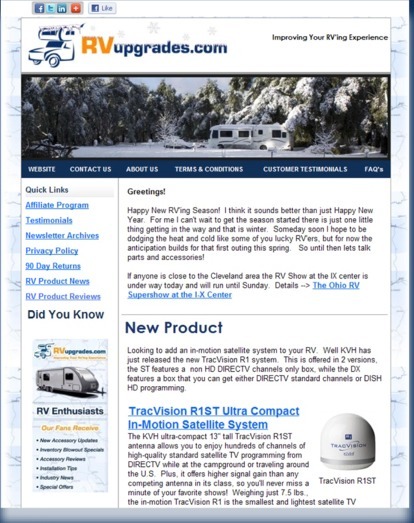 Check out past newsletters for the latest RV Accessories that have hit the market.